John Frederick Denison Maurice (August 29, 1805 - April 1, 1872) was an English theologian and socialist recognized as one of the most important thinkers in the Anglican tradition. Influenced by Samuel Taylor Coleridge and a close friend of the popular clergyman and novelist, Charles Kingsley he in turn influenced the poet, Alfred Lord Tennyson who considered him 'the greatest mind' of the age. His friends included some of the leading intellectuals of his time, such as John Stuart Mill and Thomas Carlyle. His interests were not limited to theoretical issues but extended to the education and welfare of the working class, helping to establish Queen’s College, London as the first women’s higher education institute in England and the Working Men’s College, of which he became Principal (1854). He was a professor at King's College, London from 1840 to 1853 and from 1866 he was Knightbridge Professor of Moral Philosophy at the University of Cambridge. He was one of the best known clergy in Victorian England. He has been described as a prophetic voice on behalf of the poor. He is also considered as one of the founder of the trades union movement. His stress on Christian social responsibility was a major influence on, among others, William Temple. Together with his friends Charles Kingsley and Thomas Hughes, Maurice founded a movement called Christian Socialism. They had noticed that socialism on the continent was very anti-clerical and generally atheistic. They were determined that, so as to avoid revolution, socialism in England should be imbued with Christian values or rather that Christians should be socialists and involved in social action. This was of immense importance as it meant that the trade unions, the Labour Party and other working class organizations in Britain were mostly established by Christians with the result that those concerned about social justice usually felt no need to turn reject the church and turn to Marxism. Maurice's influence went well beyond the Anglican Church stimulating the development of a social conscience amongst non-conformists and Roman Catholics too. John Frederick Denison Maurice (known almost universally as Frederick Denison) was born at Normanston, Suffolk, the son of a Unitarian minister, and entered Trinity College, Cambridge, in 1823, though only members of the Established Church were eligible to obtain a degree. Together with John Sterling (with whom he founded the Apostles' Club) he migrated to Trinity Hall, and achieved a first class pass in civil law in 1827, although his refusal to sign the Thirty Nine Articles prevented him from taking his degree. He then went to London, and devoted himself to literary work, writing an autobiographical novel, Eustace Conway, and editing the London Literary Chronicle until 1830, and also for a short time the Athenaeum.'. His literary interest had found expression at Cambridge when, as editor of the Metropolitan Quarterly Magazine, he expressed admiration for Lord Byron, Percy Bysshe Shelley, William Wordsworth, Robert Southey and Walter Scott. In 1828, he joined a debating circle led by the Utilitarian philosopher, John Stuart Mill. At this time he was still undecided about his religious opinions but by March 1831 he decided that he could embrace Anglicanism, which opened up the possibility of returning to University and taking his degree. This time he chose Oxford, entering Exeter College, Oxford, where he took a second class in classics in 1831. Then he prepared himself for ordination as an Anglican priest, and was priested in 1834. 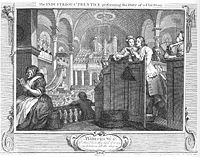 After a short curacy at Bubbenhall in Warwickshire he was appointed chaplain of Guy's Hospital, and became a leading figure in the intellectual and social life of London. Although he never totally left his Unitarian roots behind, for him there was something quintessentially English, almost in a cultural sense, about the Church of England. This may have influenced his attitude towards other religions, which he tended to see as culturally appropriate in their traditional contexts just as English culture was intertwined with the Book of Common Prayer and the worship of the Anglican church. On the one hand, his experiences as a Hospital Chaplain resulted in an enduring commitment to alleviating suffering, on the other he kept company with some of the leading intellectuals of his time. In 1840 he was appointed professor of English history and literature at King's College London, and to this post in 1846 was added the chair of divinity. In 1845 he was Boyle lecturer and Warburton lecturer. He remained at King's until 1853. In that year he published Theological Essays; the opinions it expressed were viewed by the principal, Dr. R. W. Jelf, and by the council, as being of unsound theology relating to the doctrine of hell – he questioned whether a loving God would consign people to permanent torture. He had previously been called on to clear himself from charges of heterodoxy brought against him in the Quarterly Review (1851), and had been acquitted by a committee of inquiry. He maintained with great conviction that his views were Scriptural and consistent with Anglican teaching, but the council, declining to submit the case to the judgment of competent theologians, ruled otherwise, and he was deprived of his professorships. He held the chaplaincy of Lincoln's Inn, for which he had resigned Guy's (1846-1860), but when he offered to resign this the benchers (members of the Inn - barristers-at-law) refused. The same happened with the incumbency of Saint Peter's, Vere Street, which he held for nine years (1860—1869), becoming the center of a sympathetic circle. During the early years of this period he was engaged in a hot and bitter controversy with Henry Longueville Mansel (afterwards dean of Saint Paul's), arising out of the latter's 1858 Bampton lecture on reason and revelation. From 1854, he also lectured at the Working Men's College, of which he was Principal from 1854 until 1872. This was a labor of love rather than a salaried post. All faculty gave their time freely (today most are paid). In 1866 Maurice was appointed Knightbridge Professor of Moral Philosophy at the University of Cambridge which now conferred his degree on him, and from 1870 to 1872 was incumbent of St Edward's in Cambridge. In 1870, he was also appointed Cambridge University preacher at Whitehall. During his residence in London, Maurice was identified with several important educational initiatives. He helped to found Queen's College for the education of women (1848) where he also lectured, and chaired the council until 1853. The college was granted its Royal Charter in 1853. This was the first such institution in England. In 1854 he co-founded the Working Men's College (1854), of which he was the first principal - elected by the students. The College was also supported by John Stuart Mill. He served in this capacity until his death. He was helping to establish the Working Women's College when he died, which, founded in 1874 later became Francis Martin College and merged with the Working Men's College in 1964. Maurice edited the Educational Magazine from 1839 to 1841, and admired the ideas of Robert Owen. The distinction between teacher and learner was minimized in the Working Men's College thus pioneering the emphasis in Adult pedagogy that teaching and learning is a process to which all involved contribute, those traditionally called 'learners' also teach and those traditionally called 'teachers' also learn. He strongly advocated the abolition of university tests (which prevented Dissenters and Catholics - and Jews - from graduating), and threw himself with great energy into all that affected the social life of the people. Attempts at co-operation among working men, and the movement known as Christian Socialism, were the immediate outcome of his teaching. Maurice and his friends had noticed that on the continent socialism and Christianity were regarded as incompatible. In fact virulent anti-clericalism was 'one of the driving forces of continental socialism.' The reason was that religion was associated with the dominant economic and political order, and the obstinate religiosity of some communities from the lower classes was widely perceived by socialists as an obstacle to their enlightenment and emancipation. Maurice did not want socialism in England to develop in the same way and so when the Chartist's petition had been rejected by the House of Commons a meeting was held on April 10, 1848 to discuss how the Church could help to prevent revolution by tackling what they considered were the reasonable grievances of the working class. Maurice was acknowledged as the leader of the group and his book The Kingdom of Christ (1838) became the theological basis of Christian Socialism. 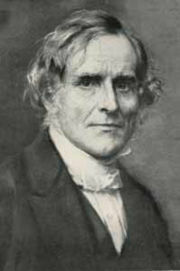 Together with Kingsley, who did much to popularize his ideas, and Thomas Hughes, who succeeded him as principal of the Working Men's College, Maurice published the journals Politics of the People (1848-1849) and The Christian Socialist (1850-1851) and a series of tracts, Tracts on Christian Socialism. They also established a number of co-operative associations and friendly societies which helped to give impetus to the Co-operative movement, which Owen is considered to have founded a few years earlier. With its farms, shops, banks and other associational activities including a political party (the Labour Party, the cooperative movement represents a working alternative to the capitalist and communist models. Its ventures are owned and operated by, and for the benefit of, workers, not by and for the benefit of shareholders or by and for the benefit of the state. The trades union movement has also been traced to an early Christian Socialist initiative supporting worker rights. In 1870, he served on the government Commission on Contagious Diseases. Among the many institutions he founded or co-founded was a girl's home in Portland Place, London. Maurice married twice, first to Anna Barton in 1837, a sister of John Sterling's wife, then after her death in 1845 to a half-sister of his friend Archdeacon Julius Hare in 1849. He and Anna had two sons, John Frederick Maurice (b. 1841), became a distinguished soldier and one of the most prominent military writers of his time and Charles Edmund (b. 1843). His grandson, Frederick Barton Maurice was also a British General and writer. As a preacher, his message was apparently simple; his two great convictions were the fatherhood of God, and that all religious systems which had any stability lasted because of a portion of truth which had to be disentangled from the error differentiating them from the doctrines of the Church of England as understood by himself. The prophetic, even apocalyptic, note of his preaching was particularly impressive. He prophesied "often with dark foreboding, but seeing through all unrest and convulsion the working out of a sure divine purpose." Both at King's College and at Cambridge Maurice gathered a following of earnest students. He encouraged the habit of inquiry and research, more valuable than his direct teaching. As a social reformer, Maurice was before his time, and eagerly gave his support to schemes for which the world was not really not quite ready. The condition of the city's poor troubled him; the magnitude of the social questions involved was a burden he could hardly bear. Working men of all opinions seemed to trust him even if their faith in other religious men and all religious systems had faded, and he had a power of attracting both the zealot and the outcast. He was inspired by the Hebrew prophets' profound concern for social justice, preferring loving action to empty words asserting faith. A major influence on his thinking was Samuel Taylor Coleridge, who had praised Eustace Conway. Maurice never met Coleridge but he did correspond with his daughter, Sara. For Maurice, religion could not be divorced from politics. The Church's stress on personal salvation neglected Christian social responsibility. He argued for a mid-position between a capitalism that over-stressed individualism, which he saw as competitive and selfish. His alternative, which saw some practical application in the Cooperative movement, was a modified form of socialism, a socialism with religious values at its core. He strongly supported extension of the franchise and the views of the Chartists. Underneath all his teaching and social and educational initiatives was the conviction that the Christian calling is not only about preparing to meet God after death, but about creating a Christian society –God’s kingdom – in the here and now. He thought that the Church of England should put worship and sacraments before dogma, since the former connect people with God while dogmas represent human opinions which can stand between people and God. This can be seen as a continued Unitarian influence on his thinking. The incarnation places social justice and redeeming the world center-stage for any Christian concerned with doing God's will 'on earth, as it is done in heaven'. Like the later advocate of Christian social responsibility, Walter Rauschenbusch, much of Maurice's thought stemmed from his understanding of the 'kingdom of God' as a 'kingdom of the Father come on earth', the 'Living Kingdom of the Living Christ'. He thought that in the Kingdom - if this can be achieved - there would be neither rich nor poor, oppressor nor oppressed. Created in God's image, all people are equal. He certainly did not see the Kingdom purely in terms of a future event or as a reality that God will impose on the world but as a co-operative venture between humanity and God. The Christian Socialists also advocated negotiation to resolve international disputes, regarding 'persuasion' as 'the first weapon, and violence the last, in the Christian armory'  Maurice and his fellow Christian socialists were interested in people holistically. Worship was important but so was art and culture, hence Maurice's own interest in poetry and literature and his concern to make education available through alternatives to traditional schooling (such as opportunities for evening and weekend learning). The following are his most important works—some of these appeared in revised editions at later dates. The Lord's Prayer, a Manual (1870). The greater part of these works were first delivered as sermons or lectures. Maurice also contributed many prefaces and introductions to the works of friends, as to Archdeacon Hare's Charges, Kingsley's Saint's Tragedy, etc. See Life by his son (2 vols., London, 1884), and a monograph by C. F. G. Masterman (1907) in “Leader of the Church” series; W. E. Collins in Typical English Churchmen, pp. 327-360 (1902), and T. Hughes in The Friendship of Books (1873). The F D Maurice Professorship of Moral and Social Theology at King's College, London, and many streets in London are named in his honor, including a street in the south part of Hampstead Garden Suburb. Both of the Colleges he co-founded continue to flourish and both have produced distinguished alumni. He influenced among others the future bishop of Natal and pioneer Biblical critic John William Colenso, who dedicated a volume of sermons to Maurice in 1853, and who also edited Maurice's Communion Service. . The type of robust, socially engaged Christianity that Maurice espoused represented for many of his contemporaries and also for later generations the only Christianity that could carry conviction. Some saw his attitudes as dangerous and as expressing too much confidence in human ability to make the world a better place. Evangelical Christianity has emphasized human depravity and the need for an inner, spiritual renewal or rebirth and has often regarded social engagement as a diversion. Anticipating the end of the present order when Jesus returns, Christians often assume that only the spiritual will survive and has eternal value. God's love was so real for Maurice that he wanted to incarnate this as loving action. His vision was never narrow but always universal so much so that he could not deny that non-Christians could also stand in a relationship with God, which most Christians of his time thought quite preposterous. He thought that until inhuman conditions have been replaced by social justice, the goal of individual salvation should be a lower priority. The opening sentence of John Orens' essay "Maurice on Prayer" emphasizes Maurice's significance. There is no Anglican theologian of the nineteenth century more universally revered than Frederick Denison Maurice. Christian Socialist, educator, ecumenist, novelist and priest, Maurice looms above most of his contemporaries in the breadth of his interests and the prophetic spirit which inspired them. Identified with no church party, yet claimed by all, Maurice seems the quintessential Anglican: learned, tolerant and pious. ↑ cited by Tennyson, Hallam Alfred. Lord Tennyson: A memoir by his son. (original London: Macmillan, 1899); (Whitefish, MT: Kessinger reprint ed. 2005 ISBN 0766183734), 558. He added, though, that Maurice's thought was 'often too deep to be easily understood'. ↑ ”The Leaven of F. D. Maurice,” Anglo-Catholic Socialism The Leaven of F D Maurice Retrieved November 2, 2007. ↑ “Frederick Denison Maurice,” Britannica, 1911 ed.Frederick Denison Maurice Retrieved November 2, 2007. ↑ To the Rev. F. D Maurice,’, January 1854 To the Rev. F. D Maurice Retrieved November 2, 2007. ↑ Both terms appear in Charles Kingsley's sermon, summing up Maurice's theology, 'Frederick Denison Maurice: A Sermon preached in Aid of the Girls' Home 22, Charlotte Street, Portland Place. By Charles Kingsley, Canon of Westminster, (London: Macmillan, 1873). Frederick Denison Maurice Retrieved November 2, 2007. ↑ Scott Foll 2000 "The Social Climate" The Social Climate Illustration: Work. Retrieved November 2, 2007. ↑ Lenten Meditations, Deacon Patricia Marks Lentern Meditations Retrieved November 2, 2007. Bennett, Clinton. Victorian Images of Islam. London: Grey Seal, 1992 ISBN 978-1856400282 (contains a detailed discussion of F D Maurice's theology of religions). Colenso, John William, bishop of Natal. Sermons. Dedicated to F. D. Maurice. London: Macmillan, 1853. Colenso, J. W. (ed.) The Communion Service from the Book of Common Prayer by F. D Maurice. London: Macmillan, 1874. Sanders, C. K. Coleridge and the Broad Church Movement. Durham, N.C. Duke University Press, 1942. Tillich, Paul. Systematic Theology, Vol.1, Chicago: Chicago University Press, 1953. (Volume I). Vidler, Alexander Roper. 1948. Witness to the light F.D. Maurice's message for to-day. New York: Scribner's. This page was last modified on 10 May 2017, at 16:14.